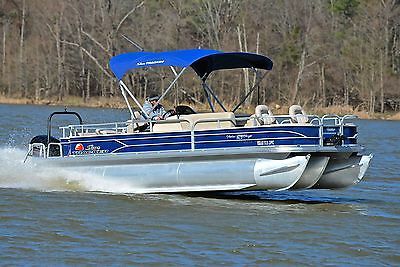 2014 Sun Tracker Fishing Barge 24 DLX MERCURY ENGINE WARRANTY THRU 2019! ONLY 38 HOURS! 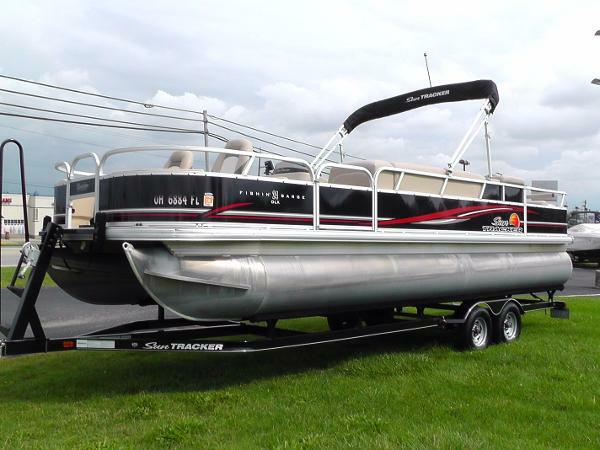 2014 Sun Tracker Fishing Barge 24 DLX featuring Black Panels complimented with a Beige Vinyl Floor and Beige Vinyl Interior. Powered by a Mercury 115HP 4 Stroke. There is Mercury Extended Warranty good thru June 2019. 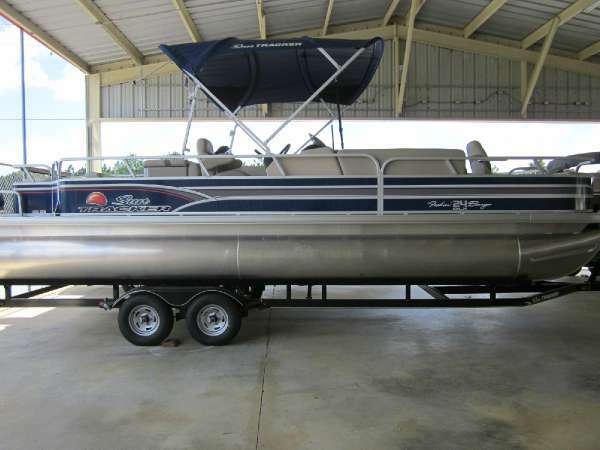 With only 38 hours this Fishing Barge is about new and it has been given the utmost care. 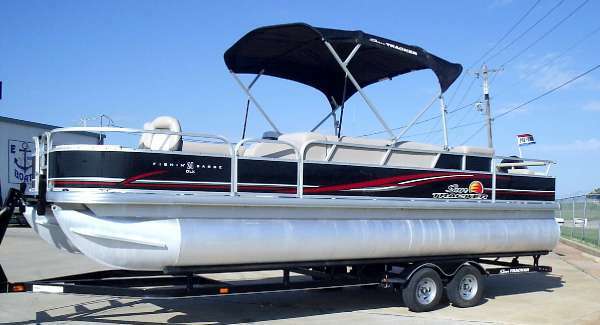 Features Include: Snap Down Playpen Cover, Bimini Top, Full Vinyl Flooring, 4 Fishing Style Seats 2 Bow and 2 Stern, Bow Live Well and Stern Live Well, MinnKota Trolling Motor, Lawrance Fish Finder, Portable Cupholder, Stereo with Speakers, Changing Room, Dinette Table with 2 Receptacles, Rod Locker, Rod Holders, Aluminum Boarding Ladder, Tandem Axle Tracker Trailer with Brakes and Bow Stop Ladder.